Daniel Zerbe was born on June 27, 1983, in Chambersburg, Pennsylvania. He enlisted in the U.S. Air Force on August 21, 2001, and completed basic training at Lackland AFB, Texas, in October 2001. 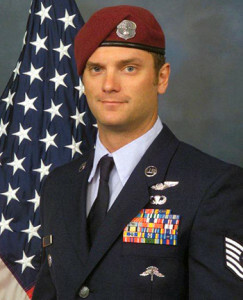 After completing the U.S. Air Force Pararescue training pipeline, Sgt Zerbe served as a Pararescueman with the 38th Rescue Squadron at Moody AFB, Georgia, from March 2003 to May 2006. He then served as a Pararescueman and Special Tactics Team Member with the 24th Special Tactics Squadron at Pope AFB, North Carolina, from May 2006 until he was killed in action when the CH-47 Chinook helicopter he was aboard was shot down in Afghanistan on August 6, 2011. During this time, TSgt Zerbe deployed multiple times to Afghanistan in support of Operation Enduring Freedom, and to Iraq in support of Operation Iraqi Freedom. Daniel Zerbe was buried at Arlington National Cemetery. On: 31 October 2008 – For exceptionally valorous achievement as an assault force pararescueman for a Joint Task Force in support of Operation Enduring Freedom. On this date, Sergeant Zerbe’s bravery under fire and decisive actions were instrumental to the elimination of a high ranking Taliban facilitator and enemy combatants. During an intense firefight, without regard for his own personal safety, Sergeant Zerbe exposed himself to enemy contact and maneuvered to a position of tactical advantage, enabling him to eliminate armed enemy combatants. His actions were crucial in ensuring the protection of the assault force and the success of the mission. 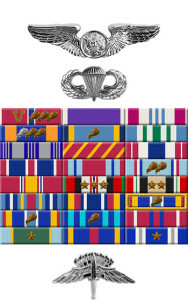 Through his distinctive accomplishments, Staff Sergeant Zerbe reflected great credit upon himself, this command, the United States Air Force, and the United States Army. 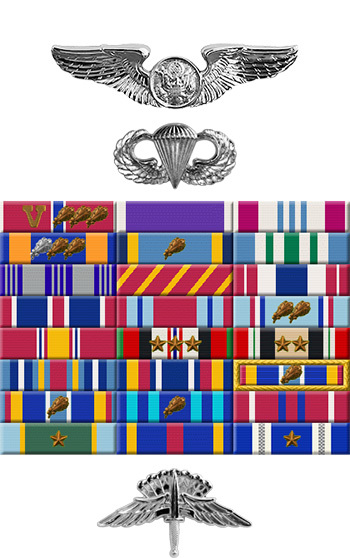 Period: 1 July 2011 to 6 August 2011 – For exceptionally meritorious achievement as an assault force pararescueman for a Joint Task Force in support of Operation Enduring Freedom. During this period, Sergeant Zerbe conducted several objectives resulting in multiple enemies eliminated and detained. He led the full spectrum medical and rescue planning, ensuring the successful execution of the task force’s highest priority missions. On 4 August 2011, Sergeant Zerbe and his team responded on a mission to eliminate or capture a high-value Taliban commander in Afghanistan. His helicopter was attacked in the target area by enemy fighters and was shot down by a rocket propelled grenade.